Turns out, May was a great month for Nintendo's little portable system. Nintendo released a press release last night with news that the Nintendo 3DS was the best-selling gaming platform in the month of May. Over the last year, the console and software maker has gone on a tear producing and releasing some absolutely astonishing Nintendo 3DS titles. We've seen games like Fire Emblem: Awakening, Luigi's Mansion: Dark Moon, Donkey Kong Country Returns 3D, Animal Crossing: New Leaf and more. In fact, according to the same press release, Donkey Kong Country Returns 3D and Luigi's Mansion: Dark Moon took the #2 and #3 spots in software sales. What's crazy is that the year is really only getting started in terms of fresh software for this handheld. We're still waiting on Pokémon X and Y, Mario & Luigi: Dream Team, The Legend of Zelda: A Link Between Worlds, Phoenix Wright: Ace Attorney – Dual Destinies and a lot more. Now's probably as good a time as any to grab a Nintendo 3DS. The catalogue is enormous, and the future looks exceptionally bright for Nintendo's handheld. Nintendo 3DS continued its strong year with another first: The platform was the best-selling video game hardware platform in the United States in May. The launch of Donkey Kong Country Returns 3D on May 23 and another strong month for Luigi's Mansion: Dark Moon helped Nintendo 3DS software sales in stores increase by more than 60 percent over the same time last year. Nintendo 3DS also had two of the top three best-selling software SKUs for the month, with Donkey Kong Country Returns 3D at No. 2 and Luigi's Mansion: Dark Moon at No. 3. 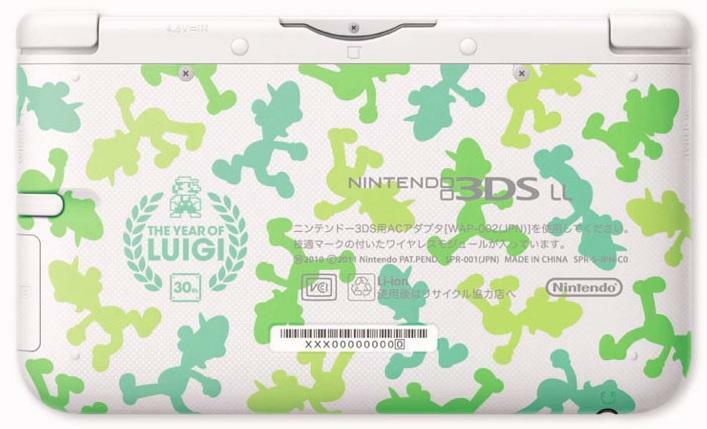 At the recently concluded E3 trade show in Los Angeles, Nintendo defined its proposition for the holiday season by showcasing a cavalcade of great games coming for the Wii U andNintendo 3DS systems in 2013. Starting in August and continuing through the end of the year, Wii U will launch one major game a month, including Pikmin 3 (Aug. 4), The Wonderful 101 (Sept. 15), The Legend of Zelda: The Wind Waker HD (October), Donkey Kong Country: Tropical Freeze (November) and Super Mario 3D World (December). Nintendo 3DS will build on its momentum with the successive launches of Mario & Luigi: Dream Team (Aug. 11), Pokémon X and Pokémon Y (Oct. 12) Mario Party for Nintendo 3DS (name not final, November) and The Legend of Zelda: A Link Between Worlds (November). *Data regarding physical sales of games in May is from the NPD Group and is specific to the United States only.